Super is a prepaid mobile card that is known for pushing the boundaries. Our aim has always been to create content which would be actual and not blend in. In May 2015 a member of Estonian Parliament and the Estonian Conservative Nationalist Party Jaak Madison tweeted how he went to a basketball game and had to leave because the cheerleaders started dancing to a Russian song. He used #absurd to express how unacceptable this was to him. This caused an avalanche of sarcastic reactions on Twitter that all ridiculed this also using #absurd. 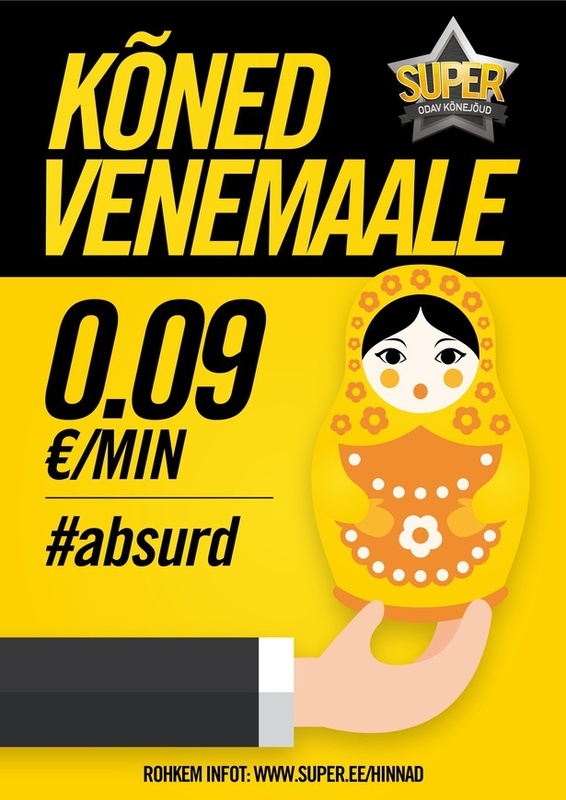 Super also reacted connecting the message to the offer of all calls to Russia being only 0.09 € per minute getting lots of positive feedback.